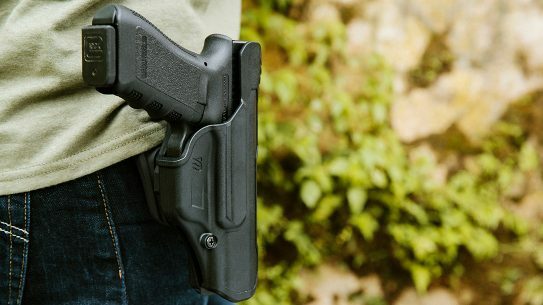 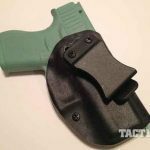 Oklahoma-based manufactuer YetiTac has joined the Glock 43 holster market with a seemingly endless array of quality choices. 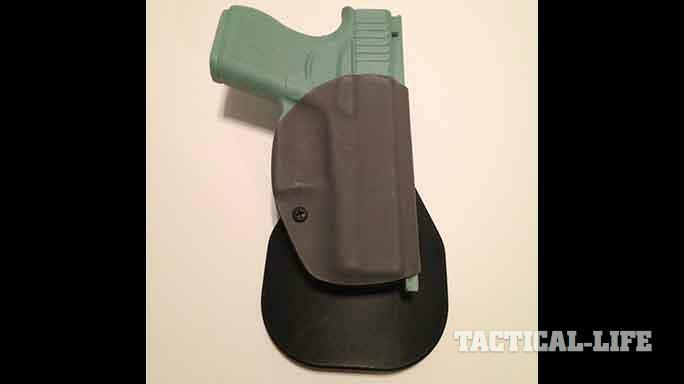 YetiTac’s EDC Paddle holster for the Glock 43. 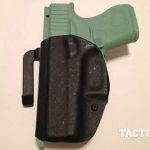 YetiTac’s IWB holster for the Glock 43. 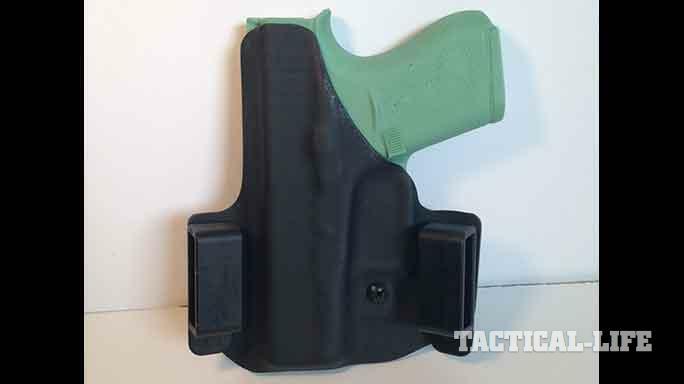 YetiTac’s Canted holster for the Glock 43. 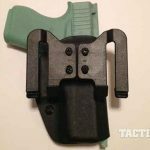 YetiTac’s OWB holster for the Glock 43. 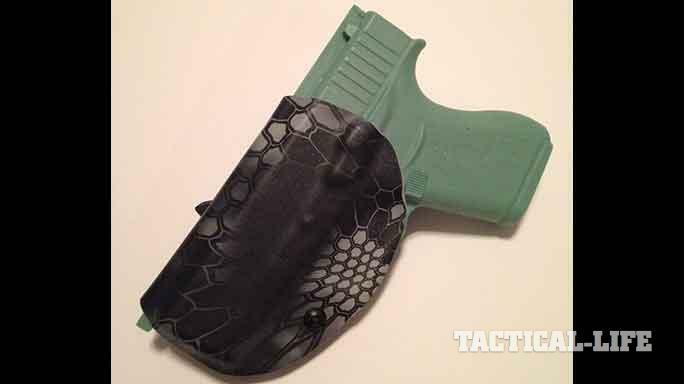 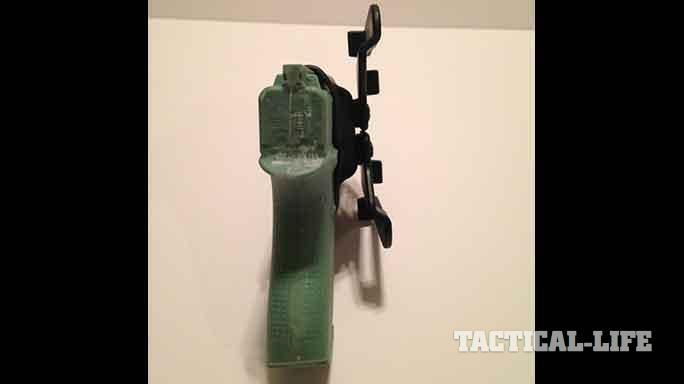 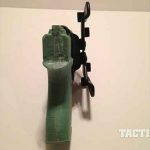 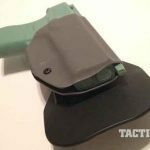 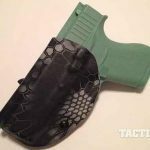 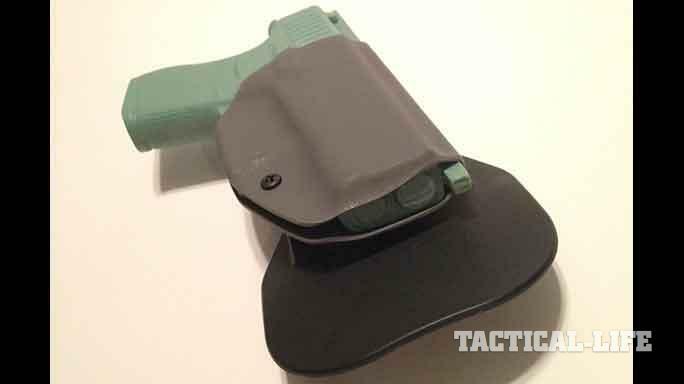 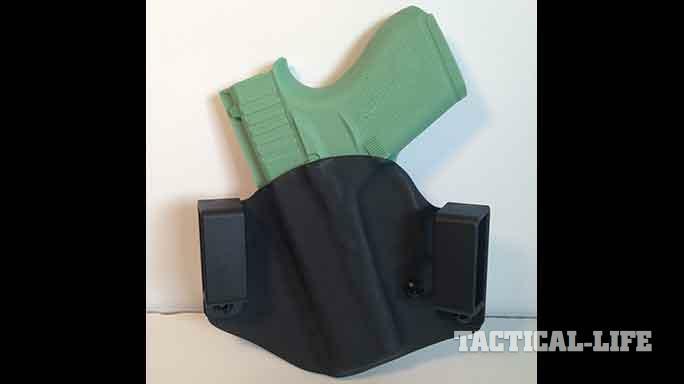 YetiTac’s Quick Claw OWB holster for the Glock 43. 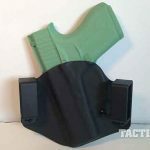 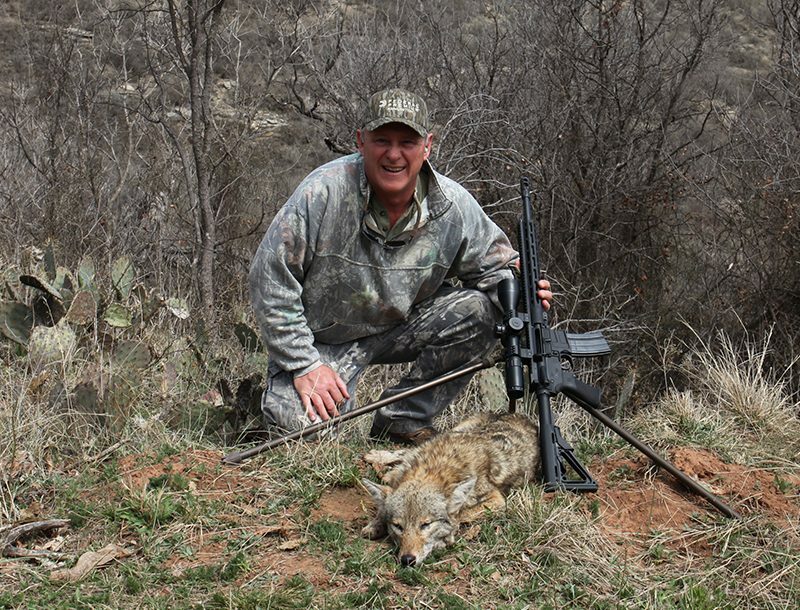 Based out of Oklahoma, YetiTac offer solutions for inside the waistband or outside the waistband carry. 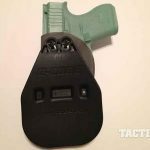 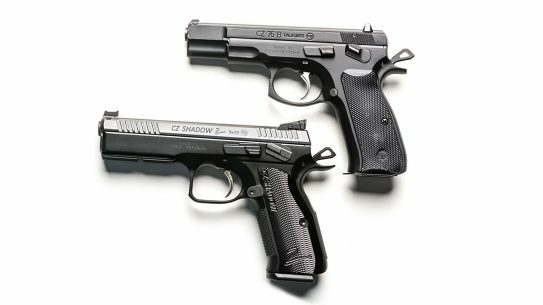 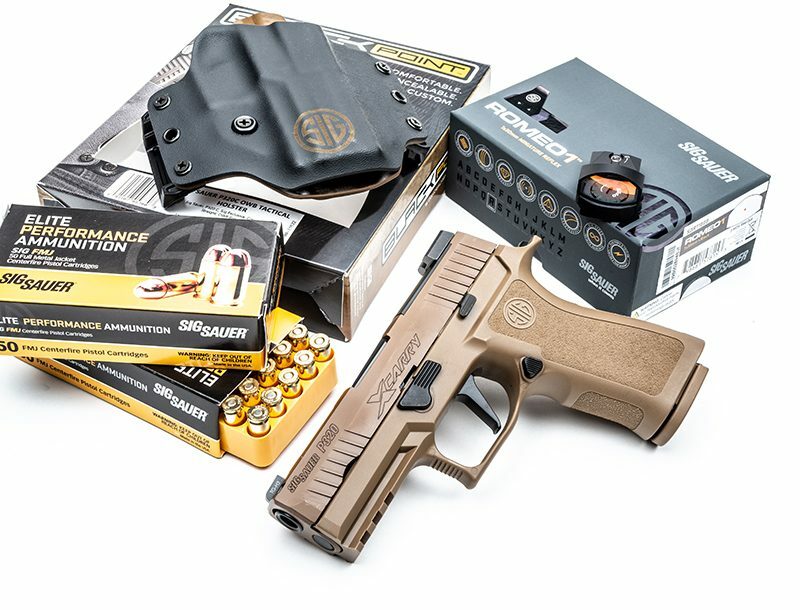 The company builds about an even number of both and has a plethora of options for the all new Glock 43. 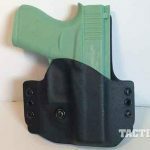 All holsters are custom built according to the customer’s choices from the YetiTac website. 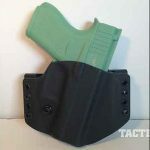 YetiTac’s inside the waistband holsters offer a belt clip or soft belt loops for that perfect fit and start at $40. 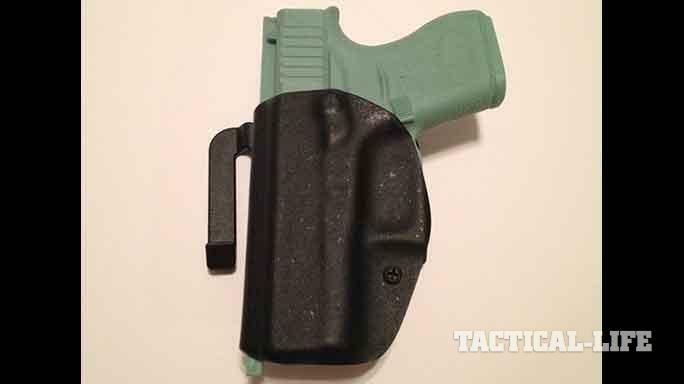 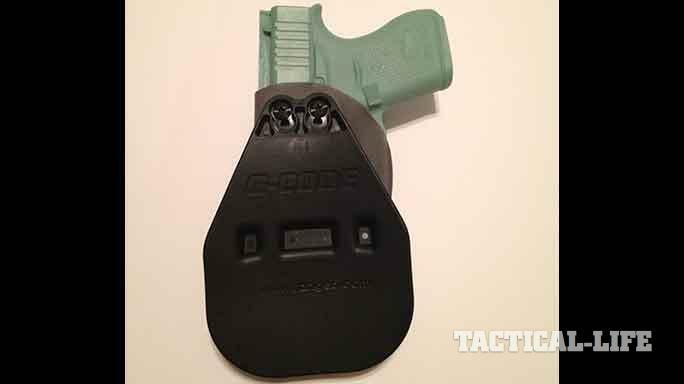 The company also makes quite a few of its paddle holsters for the Glock 43. 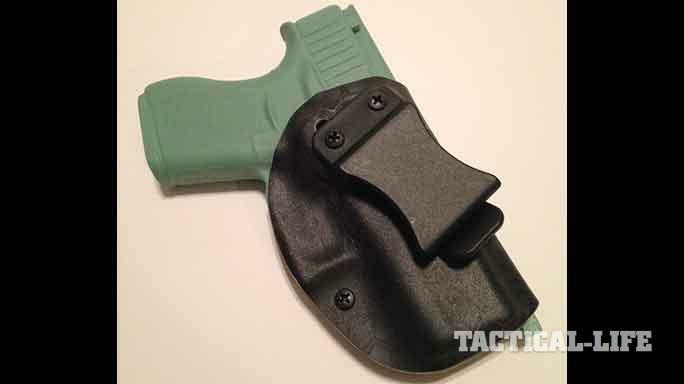 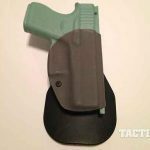 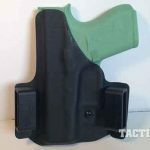 YetiTac’s newest OWB holster is called the Quick Claw. 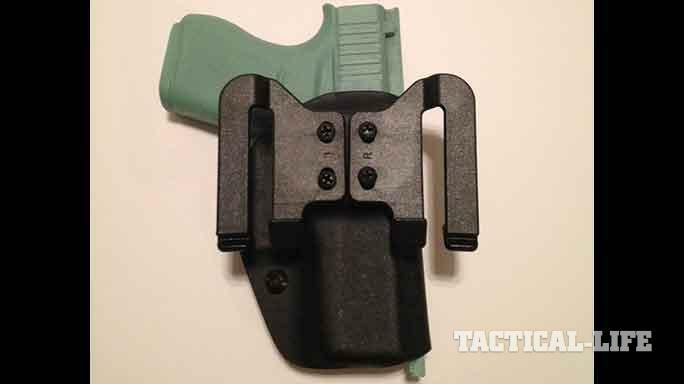 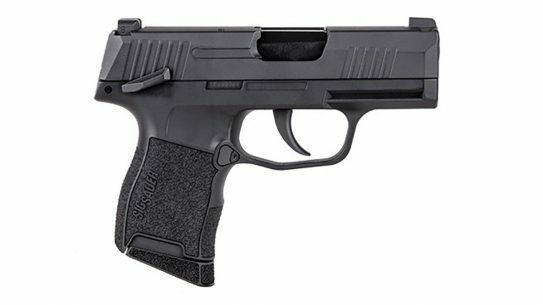 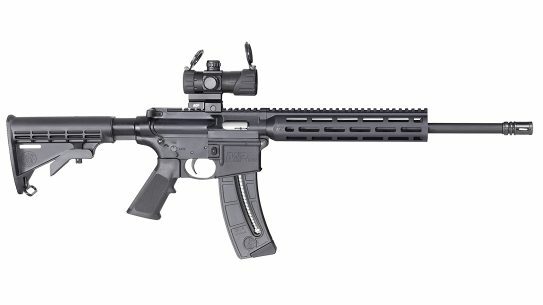 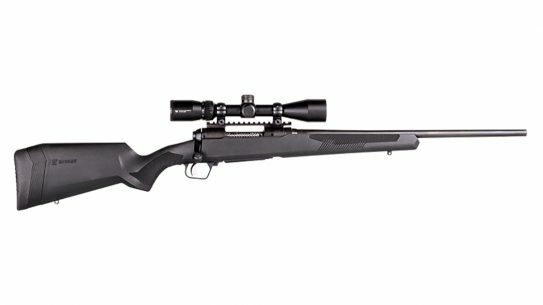 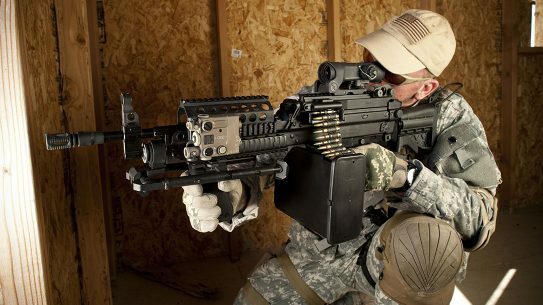 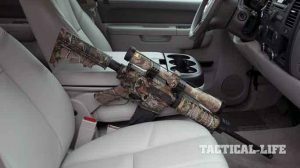 It has speed clips instead of a paddle or belt loops and gives shooters the best of both worlds. 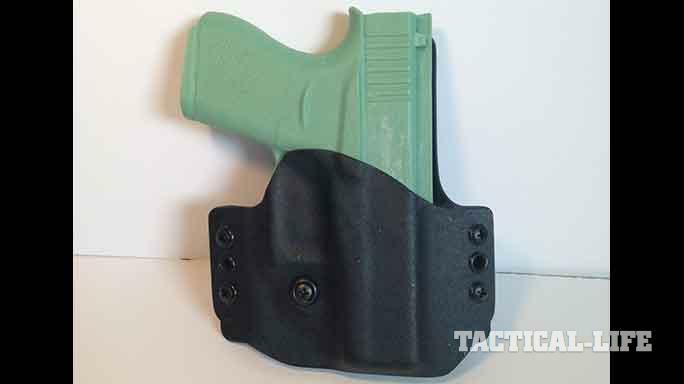 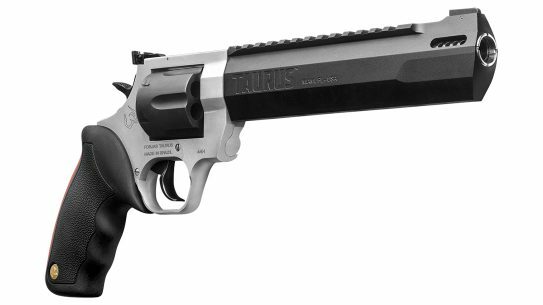 Easy on/off without needing to undo your belt and lace it through the holster. 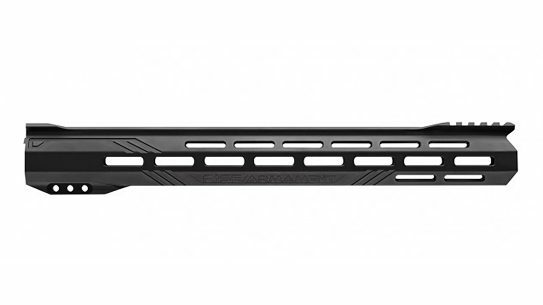 It goes on and off easy like a paddle, but with the strength and stability you expect with belt loops. 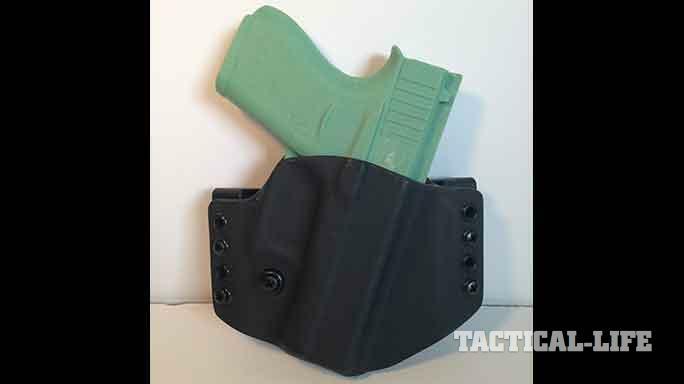 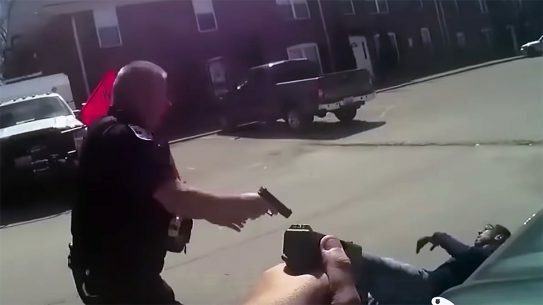 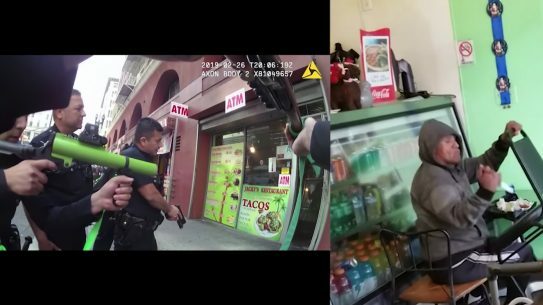 In addition to these models, YetiTac also builds a thigh rig, should shooters need that type of holster for their Glock 43. 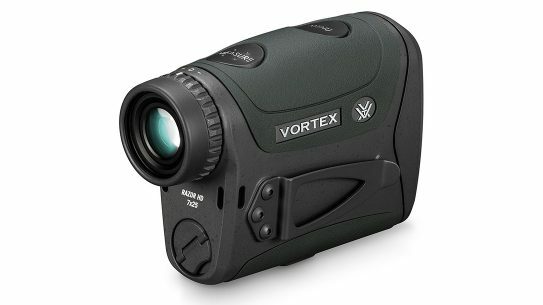 For more information on the products mentioned above and other products from YetiTac, please visit YetiTac.com.